10 Amp Brown, Blue & Earth H05RR-F Flexible Circular Wire for Harsh uses such as repairing Tools like Drills, Kangos, Grinders and Small Appliances such as Radios. More Durable than PVC and suitable for enviroments such as workshops. 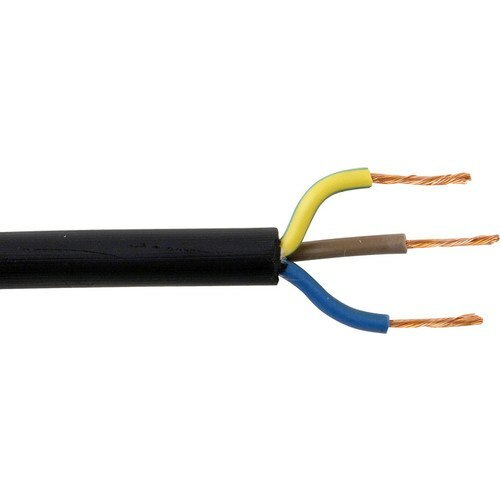 Flexible Rubber cable suitable for use in domestic, commercial, indoor and outdoor conditions. It can be used for general electrical and security applications where there are damp environments such as Power Tools, workshops, kitchen appliances and washing machines.